Dubai, the second largest of the seven emirates, occupies an area of approximately 3,900 kilometers, is located along the creek, a natural harbor, which traditionally provided the basis of the trading industry. Pearling and fishing were the main sources of income for the people of Dubai. Dubai's focus on trade and industry transformed it into the leading trading port and a very popular tourist destination. 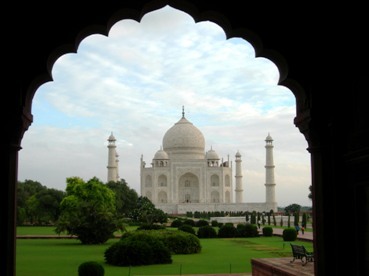 Combined with the Golden Triangle cities of India makes this a unique mix of cultural and historical travel experience. Stops include Delhi, Jaipur, Taj Mahal, Agra and Dubai. Day I NEW YORK/DELHI: Welcome aboard jumbo jet flight to Delhi, part of your Dubai tour. Day 2 DELHI: Upon arrival at International Airport, after immigration and customs clearance, a traditional welcome & transfer to Grand Star Hotel. Day 3 DELHI: Morning half day city tour of old Delhi Visiting Jama Masjid, Red Fort and Chandni chowk. Afternoon half day tour of New Delhi Visiting Qutab Minar, Humayun Tomb, India Gate, Parliament Street. Evening free for shopping. 1879, was a large and flourishing town. The Zamidars (landlords) of Samode the principal thakurs of the state of Amber were the Nathawat clan from Chomu, a branch of the house of Amber, tracing their relation to the Jaipur Maharaja the fabled Prithviraj Singhji the 17th prince of the house of Kacchwaha Rajputs. Arrive Jaipur and check in at hotel. After lunch visit Jai Singh's Observatory built in the 17th century by the founder of Jaipur who, besides being a prince was also soldier, astronomer and builder. This is an architectural feat, drive past the Hawa Mahal an elaborate building encrusted with delicate honeycomb screens and carved balconies from behind which the royal Zanana, could view the world outside, the City Palace now a museum exhibiting fine Rajput and Mogul paintings, rare manuscripts and an armory. Hotel Hari Mahal Palace. Day 5 JAIPUR: Morning after breakfast check out from hotel, visit Amber Fort AMBER - Just 7 miles north of Jaipur is Amber with its a honey-colored fortress-palace in the Aravalli Hills. Enjoy an elephant ride along the fortress ramparts. The somber exterior belies the richness of the royal apartments which open on to striking views of the gorge. Walk into the Sheesh Mahal and admire the amazing interior décor thought of over 200 years ago. Spend rest of the day shopping for gems, jewelry and ornate home fashions items that Jaipur is famous for. Day 6 JAIPUR/AGRA: After breakfast, on your way to Agra you'll stop at Fatehpur-Sikri, the deserted Sandstone City built by King Akbar. This imperial complex of forts, palaces, mosques and temples was short lived and today is a haunting testament to that era. On arrival in Agra, home of the famous Taj Mahal. The Diwan-e- Khas, Hall of Private Audiences has a unique interior design. The Divan-e-Am or Hall of Public Audience is an open courtyard surrounded by cloisters and adjoining it is the Parcheesi courtyard arranged like a gigantic game board, where the Emperor played chess using slave girls as pawns. Arrive Agra and check in at hotel. Howard Park Plaza Hotel. Day 7 AGRA/DELHI: At sunrise visit Taj Mahal, the most extravagant monument ever built for love. On the death of his beloved wife Mumtaz Mahal, Mogul Emperor Shah Jehan built her this memorial over which 20,000 men labored for 22 years to create a masterpiece in white marble inlaid with semi-precious stones; the art is called pietra dura. Return to hotel for breakfast. After breakfast visit Agra Fort where Shah Jehan spent the last years of his life, imprisoned by his son Aurangzeb. The most impressive part of the Fort are the Devan-e-Am, Hall of Public Audience and the Devan-e-Khas Hall of Private Audience where he received foreign dignitaries. Afternoon continue drive to Delhi and check into the hotel. Evening free. the journey begins at the magnificent Jumeirah mosque and continues along the Jumeira beach road, which is the most luxurious urban area in Dubai. 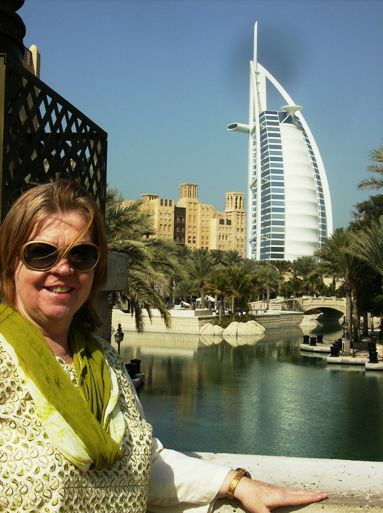 We pass in front of the Mercato themed shopping mall and stop for photographs at the Burj Al Arab Tower hotel. We continue towards the Nad Al Sheeba camel and horse race tracks, where we can witness camels training. We then head along the skyscraper area of Sheikh Zayed Road, also referred to as little Manhattan, where we pass by the Emirates Towers and Dubai World Trade Center. Then we drive along the Zabeel road, passing by the palace of Sheikh Mohammed, as well as the Sheikh Rashid palace, (No photography). 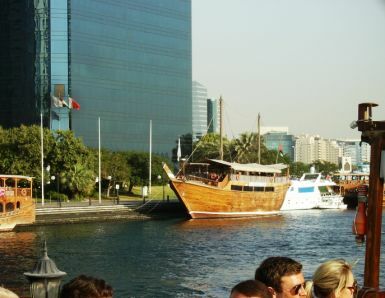 We now head towards the Dubai creek, where we will stop for photographs of the creek side. We pass by the Al Bastakiya's old-wind tower houses, which were built by the wealthy merchants of the past. Our next stop takes us to the historical Al Fahidi Fort, which has been converted into the Dubai Museum. The Museum is the 200 year-old restored Palace of Sheikh Saeed, which has important records of pearl diving and trading activities that went on. 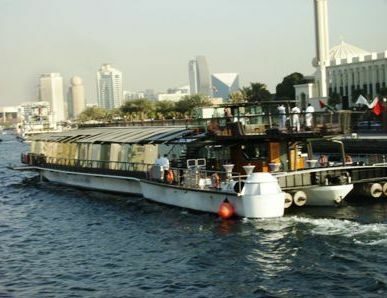 The tour takes us to the Abra station, where we will take an Abra (water ferry) to cross to the opposite side of the creek, as was done in the not so distant past. We then set out on foot as we navigate through the bustling alleys towards the spice and gold souks (markets) as you see insight of Dubai's growth as a major trading center. This tour will take us to the modern air-conditioned malls and souks in Karama and Al Fahidi streets, where we will see Dubai's eminent position as a shopper's paradise, offering visitors an endless choice to suit every budget. Beach trip is also recommended for a refreshing view of the pristine beach front and the skyline. Dubai has an excellent nightlife scene with a large choice of bars and nightclubs to be enjoyed.